Founded in the summer of 1889 and served by two Sisters of Divine Providence, St. Michael School began as a public school with an enrollment of sixty students. In 1914, problems arose with nuns teaching in the public school, and the Sisters withdrew after the 1915 scholastic term. The Right Reverend Bishop Shaw of San Antonio saw the need of a Catholic School, and Father Joseph Szymanski proposed it to the congregation. The parishioners gave their loyal support making it possible for him to open St. Michael Parochial School. The new parish school reopened under the direction of three sisters of the Incarnate Word and Blessed Sacrament whose Motherhouse was then located in Hallettsville. A frame building which served as the Sisters’ residence afforded two classrooms, and the old St. Michael Church served as an additional classroom. In 1919, because of a steady enrollment increase resulting in up to 200 students, a two-story building with four classrooms downstairs and an auditorium/gym upstairs, was erected. Today, this 96-year-old landmark proudly sits next to a modern brick building added in 1965 and is across the football field from the Parish Center, gym and cafeteria added in 1984. An addition to the brick building was completed in 1993 and included a chapel, storage room, and an additional classroom. It was at this time that inspectors realized that a portion of the brick building needed to be demolished because of a faulty foundation. The completion of that project occurred in 1994 and was made possible through the generosity of St. Michael parishioners. Included in that replacement were the current Principal’s and Secretary’s office, a computer room, faculty lounge, janitor’s room, mechanical room, and restrooms. In 2002, through a grant from the Kenedy Foundation, St. Michael School purchased a mobile building which houses two classrooms. These provided space to open a Pre-K 4 program and a Kindergarten class for the first time in its history. With a generous grant from the Stanzel Foundation, the two new classrooms were completely furnished with furniture and curriculum materials. Then in 2013 and 2014, two Kenedy Foundation grants allowed the school to upgrade its entire wireless network, buy all new computers and printers for the computer lab and classrooms, and add new laptops to its mobile laptop labs. While St. Michael’s buildings represent the old and the new, the philosophy and curriculum of the school are different from most schools in the area because of the school’s goal to return to the basic values that, in the past, have made students great leaders in the Church and in the local and world communities. The school continues to promote the tried and true fundamental elements of manners, respect, responsibility, friendliness and Christlike behavior. Solid basic skills are taught while computers are available in every classroom making the latest technology accessible to every student. The success of this philosophy is evident as graduates, who make up only about one-fifth of the local public high school enrollment, consistently comprise a high percentage of the top ten honor students of their senior class. In addition to scholastic accomplishments, every eighth grader anticipates the annual trip to our nation’s capital. Hundreds of St. Michael students and their parents have visited Washington, D.C. through the school program over the years. The last of the Sisters of the Incarnate Word retired in 2010, and the school remains open under the direction of the parish priest and a “lay” principal. St. Michael Catholic School remains an important part of the parish and the community of Weimar and is blessed to have the school and its programs supported by not only the students, parents, teachers, and pastor, but also by the local parishioners, banks, businesses, foundations, volunteers, alumni, and the community at large. 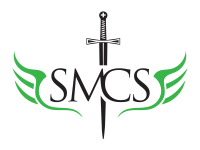 Spiritually and academically challenging, grounded in truth and basic values, and technologically advanced, St. Michael’s students can and will continue to serve the Church and the world.